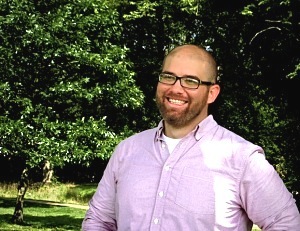 Ian Garrett is a designer, producer, teacher and administrator whose main focus is on sustainability in the arts. I recently caught up with Garrett and he told me a bit about sustainability in design and theatre production, while he brought me up to date on his recent activities with Festivals Edinburgh, World Stage Design, and his organization called The Center for Sustainable Practice in the Arts. Ian Garrett grew up in Southern California, where environmental sustainability was embedded within the culture. He began his education within sustainable architecture and design, and eventually found his way to designing for performance with an emphasis on sustainability. How would you describe sustainability in design and theatre production? IG: It’s about being smart about the way we make things. It’s partially about resources: using resources that are available, with materials that are appropriate and healthy; how one manages energy, how one manages toxicity; and then what you end up doing with it—how you communicate the sustainability of those objects with your audience and connect to the community in which the work is being created. That concept that you’re trying to achieve, and that message that you’re trying to achieve about sustainability, needs to be balanced on the material side as well. Which is what shifts it out of architectural design or industrial design. There is a communicative element that doesn’t exist in other fields. What have you been up to in 2013? IG: I spent 7 weeks in the UK over the summer, on two different projects; one is an on-going project – now in its fourth year. We’ve been doing it through a partnership with a couple of organizations: Creative Carbon Scotland and Festivals Edinburgh—which is an organization that connects a number of the Edinburgh festivals, including the Fringe. We’ve come together to present an award for sustainable production on the fringe. It’s a bit of a Trojan horse, in that it is a way to engage artists who are bringing work to the Fringe and allows us to ask various leading questions about how they’re considering sustainability in their production, from a holistic approach, essentially. Such as: How did you get here? What is it made out of? and, What are you talking about? Over the last few years we have been working closely together to expand that, while also building out resources for venues and producers for more sustainable production and less environmental impact. The engagement with the individual artist happens through this awards project that we’ve been working on together. This past summer was the first year in four years with an actual ceremony, and we gathered everyone together and had a small reception as well. We’ve been working with a media sponsor to help promote it, and to add in value to the participating companies, which have to apply, but that’s how we gather the information. Our media sponsor reviews everybody that gets shortlisted. We also do a number of workshops where artists coming to present work at the festivals, can learn how they could integrate sustainability in what they are doing. 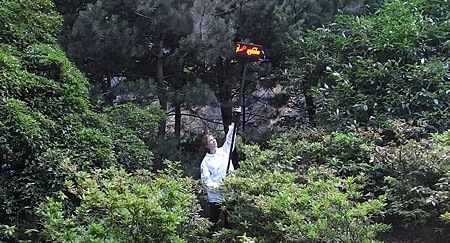 Along with that, The Edinburgh Art Festival, which happens around the same time, did a project called CO2 Spirit in the Air – which set up carbon dioxide sensors in cultural facilities throughout the city of Edinburgh; two that were mobile, on popular footpaths for festival goers, that fed information to an installation at a gallery at the Edinburgh College of Art. Then, there were a series of talks and conversations that also happened within that space—so it became about becoming aware of what it means when someone is talking about ‘parts per million of carbon’. There was also a map and information of facts, along with live information about the current carbon dioxide concentration in cultural facilities around the cultural activities in the city. We supported this by participating in a number of the talks that happened around the context of having this data turned into an art installation. One of the hallmarks of what we’ve done with the CSPA is that we tend to make art about data about art. We collect data and do generative projects around that. IG: In Cardiff, Wales, we presented 24 different sessions as part of World Stage Design, a 10-day quadrennial festival of Global design which started in Toronto in 2005 and the last one was in Seoul, Korea, in 2009. The impact of cultural activity on the environment and sustainability is a growing concern within Wales, and is tied to some funding through the Arts Council in the UK, who is starting to tie environmental reporting to their funding for arts organizations. Through these factors and having organized talks through these gatherings, we did a large sustainability project contained within World Stage Design through performances, film screenings, panel presentations, workshops, lectures, etc., participating in at least two activities a day. Bringing together global design and sustainability theatre communities, we also built a temporary sustainable 150-seat theatre, made entirely out of reusable materials. We built this as an international design competition. The skeleton was all scaffolding and then the primary skin for the inside and outside walls was agricultural fleece, a thinly woven material used in agricultural settings to prevent freezing and to keep pests out. It’s called The Willow—because of the free-hanging portions that were to be activated by the wind. After the theatre was taken down, the fleece was reused in the community gardens on campus. The original design had to be modified using a layer of vinyl on the outside – in order to do a black out more often than originally intended for—a part of the general performance program which works in conjunction with the festival. Design-wise, it was less than ideal, but we worked with a local company that creates vinyl signs and the vinyl was used in the least adulterated form possible, and then sent back to the manufacturer to be immediately reused for signage, recycled or kept in storage – we just diverted it from its original use. Down the line it will likely turn into waste. We also did a very large tracking project. We collected data on which city/location everyone who attended came from, so that we can estimate travel impact. We know: the electrical usage and the difference from previous years, how much electricity is consumed by the event itself, the amount of waste generated, the amount of raw material that went into it, the density of participation, and through other factors we’ll be able to estimate the environmental impact on Cardiff. We’ll put all of this data together and create a report of the event. Our current research is centered on what the actual impact of creating a light is? If you were talking about replacing a light bulb at home, it might have lasted you 2 – 5 years depending on the use or type, so it makes sense to switch the light bulb out with a newer one. But when you are talking about a theatrical lighting instrument you are talking about swapping out the entire fixture, not just the lamp that goes inside of it. You are replacing the device, not only the implement that goes into the device. A number of theatre lights haven’t changed in design in about 20 years—so you can have a 20 year-old light fixture that works just fine, but there is the energy consumption—so where do those graphs meet? And then that scales out to every aspect – because yes, we throw out a lot of things, we use a lot of energy intensive fixtures, but we don’t use them all the time. So what is the actual consumption of energy? What is the actual impact of the waste that is being created? This is where our current research is, and we research with a number of partners as we try to figure out what the actual numbers are. What we have been seeing so far is suggesting this idea, that we are now trying to verify, which is cultural offsetting. In 2009, in working with a couple of theatres, we found that the amount of electricity that they were using before, during, and after a show—was about 15% less electricity on average than the audience would be using at home during the same time. If the theatre house is full, just going to the theatre is a more sustainable choice than not going to the theatre. About a year ago we started to get the first real usage data, from a theatre whose entire season we tracked. And their energy consumption is about 80% less than what their audience would have been using at home, on average. IG: We are trying to see if there are any legs to this idea of cultural offsetting. By congregating people together, you can combine their consumption in a way that cultural production is actually in and of itself an eco-positive act. We should be considering how attending a cultural activity, and that could be theatre, live music, sporting events—anything that involves bringing people together as a community—is a more sustainable act, than not to. Even before you try to make it sustainable, it already is. This focus on the Edinburgh Festivals is useful because it is the largest arts festival in the world, where you can get everyone together attending a cultural event. So if we can get our heads wrapped around that then we can get our heads wrapped around any festival. It will test all of those methodologies. With World Stage Design we have a large festival, an international audience to discuss issues, where we can act on the issues, and then also collect data on the large cultural gathering—which is then pulling in an international audience. So the question for us is, what does it mean for people to be travelling for such a festival? Is flying to this festival the worst thing that people could be doing for the environment? By pulling these people together into one place to have this communal experience, we have to consider the different aspects—the environmental, the social, the economic, and put all those together. I think that you can make a case that cultural activity should be something that we should focus on, rather than staying at home because a festival of any kind is too wasteful. This is where policy issues come into play. Why should we fund this? Why should we fund sustainability issues within the arts? We are trying to make the case that the two are related? The arts in the United States move with funders, as apposed to moving with policy. That’s amazing to me because I feel as though sustainability is related to everything we do. IG: Yes, and you’ve got a lot of funders all over the place that have environmental or cultural initiatives, and they don’t ever think about how those two interact with each other. We are trying to make the case that we should be considering these two things together because they are intertwined. And they can positively impact each other in a way that’s greater than the sum of its parts. Which is what the research portfolio is trying to gather. I’m trying not to have too much of a confirmation bias around it – so it’s exciting! We get these first data sets, where it indicates 15% less electricity is used If people just go to the theatre, and then real data is telling us, no, it’s 80% less electricity than the household capacity of a theatre, just because people are in one place. This is good news! This gives me hope! IG: What ‘s been great about being part of this and why I still get jazzed about it is that when we communicate this—it just comes down to going and seeing more theatre! It’s the environmentalist thing to do. Just go see more theatre. That’s going to be my new slogan. Go to the theatre! It’s better for the environment! IG: It IS better for the environment. It is factually correct. 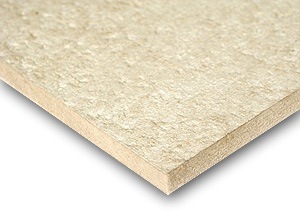 What is your favourite sustainable material? IG: Homasote. It’s an entirely recycled paper product. Something about it. . .
What would you be doing if circumstances had been different? IG: I’d be an architect. I’d be planning. I have something for infrastructure. IG: There are a lot of people! As an academic, there is a woman named Theresa May, who has been at the forefront of this issue for a long time. Someone else who has been a mentor to me is Sixto Wagan, and a lot of my knowledge of the performance community comes from working with him in different capacities over the years. Also, Terence McFarland, who is the CEO of the Los Angeles Stage Alliance, he’s really smart about arts infrastructure, planning and vision. No. I’m actually surprised. I thought I’d end up in the non-profit-service-organization, in the progressive-arts-infrastructure, side of things. The York position ticked all of the boxes—bringing in sustainability, design, my artistic practice, new technology within performance, and I also end up having relationships with a lot of service organizations that serve the Toronto area, and they too are interested in sustainability. This all makes it really exciting to be here.